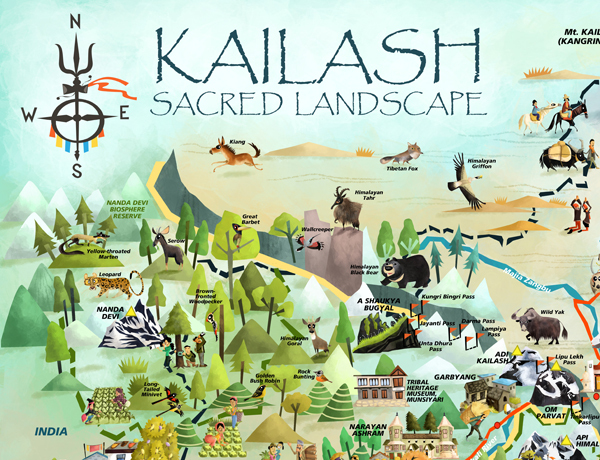 The Kailash Sacred Landscape is distributed across three countries- India, Nepal and China; and is not only an important religious site, but also a haven for alpine and trans-Himalayan wildlife. 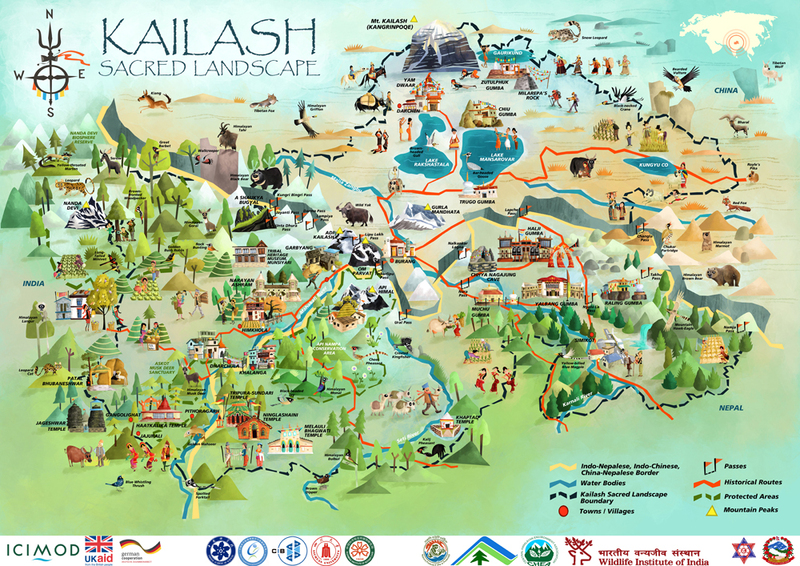 The apex of the region is Mount Kailash (called Gang Rinpoche in Tibet), a Tibetan mountain sacred to five religions- the Hindus, Buddhists, Bons, Sikhs and Jains. 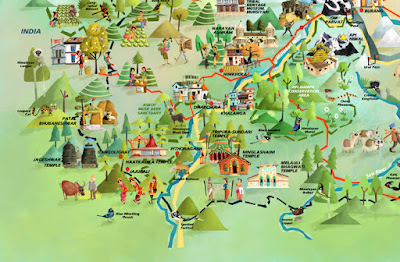 Several important wildlife sanctuaries and biodiversity hotspots lie within the region, such as the Api Nampa Conservation Area in the Far-Western Developmental Region of Nepal, and the Askot Musk Der Sanctuary in Kumaon, Uttarakhand in India. 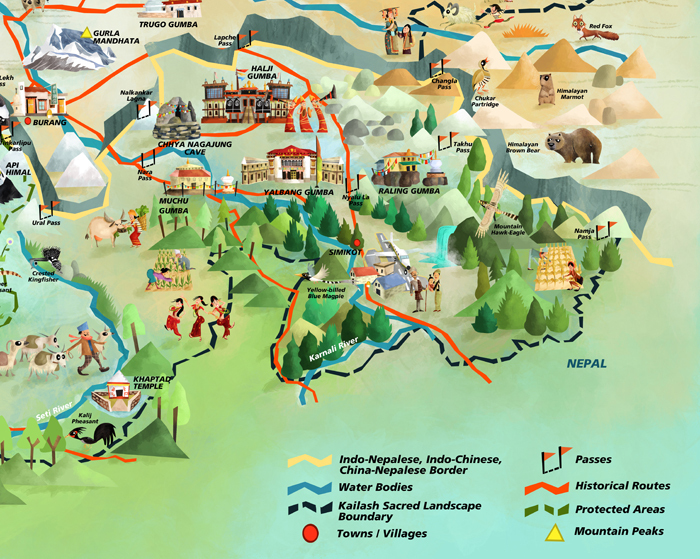 The fauna of KSL- the Himalayan Red Fox, Kiang, Bharal, Wild Yak, Himalayan Musk Deer, Himalayan Monal, Snow Leopard, Leopard Cat, Himalayan Goral, Yellow-billed Blue Magpie, Black-necked Crane, Bearded Vulture, Himalayan Tahr, Tibetan Sand Fox and the rare Himalayan Brown Bear. Some people of KSL- seen here are Tibetan millet farmers, a Hindu Sadhu, Buddhist and Bon pilgrims, Tibetan monks, a Tibetan Yak herder, honey harvesters from Kumaon, wool weavers from Khar in Nepal, dancers from Uttarakhand, Churya (butter-fruit) collectors from Uttarakhand and Nepalese women dancing for 'Teej' (a Hindu festival). 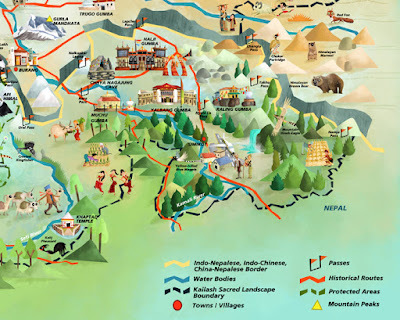 Some important sites in KSL- the town of Grabyang, the Yam Dwaar, the Halji Gumba, Haatkalika Temple, Mount Kailash, the town of Darchen, the Yalbang Gumba, the Trugo Gumba and Narayan Ashram. 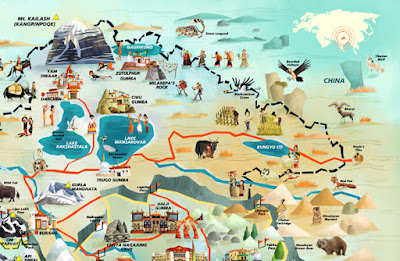 The project is my first trans-boundary illustration! 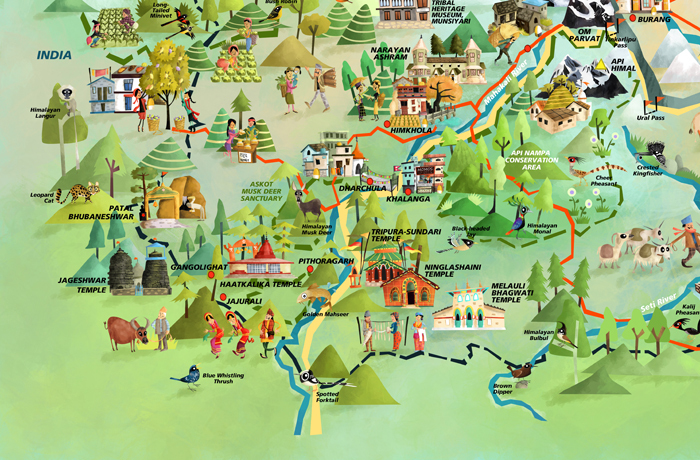 A big thanks to ICIMOD's fantastic team at Kathmandu for commissioning me for this, and assisting me with timely references and information throughout the project; and to my friend Sumit Arya, a bird scientist at the WII studying population densities of Himalayan birds, for taking me around in Kumaon. Amazing place ! You have shared great information about the locations of landscape of kailash, It helps me to easy my upcoming trips. 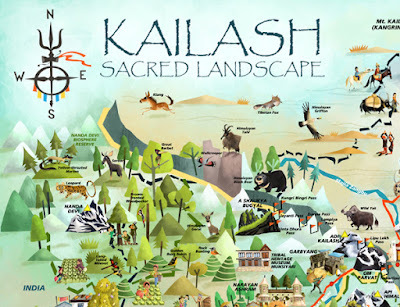 Find the best place to make your Kailash Tour exciting & adventurous.